Make a Memorial Day bouquet. Thursday, May 23 2 to 6 p.m. 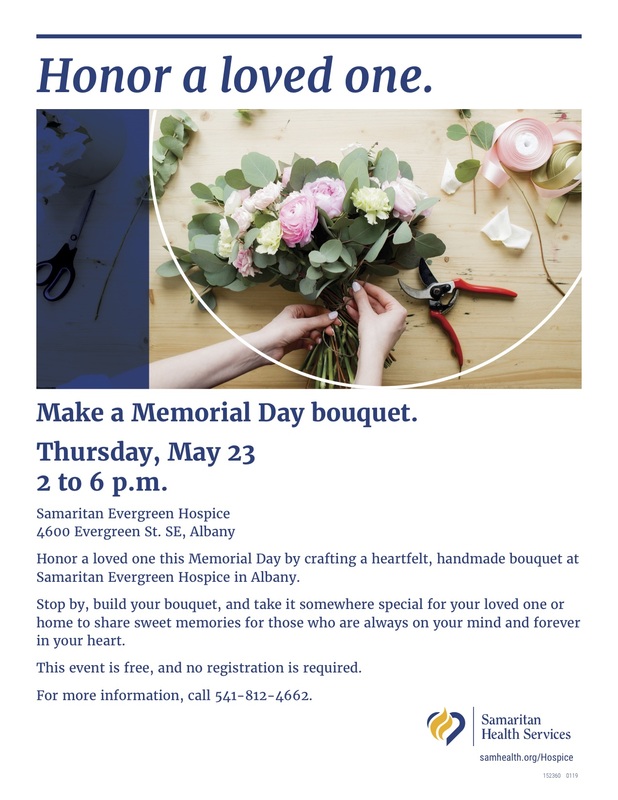 Honor a loved one this Memorial Day by crafting a heartfelt, handmade bouquet at Samaritan Evergreen Hospice in Albany. Stop by, build your bouquet, and take it somewhere special for your loved one or home to share sweet memories for those who are always on your mind and forever in your heart. This event is free, and no registration is required. For more information, call 541-812-4662.